The following list includes some of the top plant-based foods/medicinals that I recommend when looking to enhance your body's natural defenses against cancer. They provide assistance to our bodies natural healing systems by way of one or more of the following. Enhanced Nutritional Support by way of some of the most nutrient dense plant foods that nature provides. 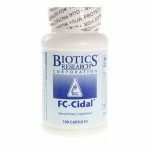 Immune Support and the Elimination of underlying Fungal, Parasite, Virus, or Bacterial infections. Pathogens can weaken our defenses. Plant Foods or Herbal Wild Remedies scientifically proven to directly target cancer cells! I highly recommend that everyone reference the plant food guide to begin incorporating the most anti-cancer fruits and vegetables, common to grocery stores, found in these 2 studies. If your specific cancer is not one of those studied, take the top 10 from all the lists and incorporate at least one if not several of those into EVERY meal you consume. These are the common fruits and vegetables which have significant value but there are often more potent not so common wild or traditional plants foods out there that were not in these studies. This is a foundational start though! Raw Frozen Aloe Vera Gel - Aloe accelerate the healing process and improves the digestive tract! This is crucial as nutrition is essential in the fight against cancer and without a healthy gut it would be very difficult to heal or prevent cancer. Aloe has also been shown to reduce inflammation and protect our bodies for viral, fungal, and bacterial infections that would otherwise take away from our immune systems focus on fighting cancer. Drink 8-24 ounces per day. Drink straight or mix into juice or smoothies. I recommend Stockton Aloe 1 as it is harvested fresh and immediately frozen then shipped straight to you. Due to machine processing, other brands may contain some of the outer leaves which may cause diarrhea at larger doses. 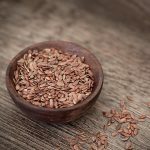 I like to grind Flax Seeds fresh and consume in smoothies or sprinkle over any and all foods. This is especially beneficial for women fighting Estrogen positive or HER2 positive breast cancers. Buy in bulk at the link above. Moringa (Dried organic powder) is one of the most nutrient and mineral dense superfoods available to us. Adding 1 teaspoon or more to water, juices, or smoothies significantly increases your nutrient intake. Can be taken multiple times per day. Triphala has long been used in traditional Ayurvedic medicine. Triphala contains gallic acid, ellagic acid, and chebulinic acid, which are all strong antioxidants. For example, the Orac Value of blueberries is 4669 but Triphala’s Orac Value is roughly 706250! (See more Orac Values of the foods we consume.) It also has flavonoids and polyphenols, which have antibacterial, anti-inflammatory and antidiarrheal abilities. 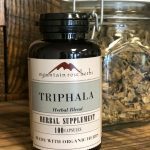 Triphala’s purported uses also include the natural treatment of cancer, infections, gastrointestinal issues, inflammation, high cholesterol, and immune system malfunction. 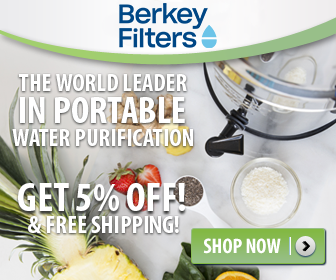 Seeking Health Pure Greens Powder Add 1 scoop to water, juices, or smoothies to increase nutrition. This is a great way to increase ingestion of nutrient-dense fruits and veggies. I cannot stress enough the power of fresh plant foods or freshly juiced fruits and veggies in your diet though! There are many good brands available now. Amla / Amalaki (Dried organic powder) Consume 1 tsp at a time (1 tsp = 3 grams). Amla is one of the highest antioxidant food on earth! Like many foods, consuming too much might cause diarrhea. The powder can be mixed into water, juices or smoothies. 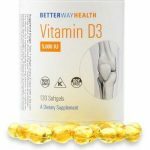 Vitamin D3 (The #1 Anti-Cancer Vitamin/hormone) It is always best to have your Vit. D levels checked and I would maintain a level of 60-80 to ensure the highest immune and anti-cancer function of your body. The minimum level I recommend for D3 blood level is over 60 ng/ml, though 80 may be optimal. Look for D3 in liquid, spray, or gelcap form. A good brand is Better Way Health. Beta-Glucan is an immunomodulator which helps strengthen and enhance the efficiency of your immune system so to better fight and kill cancer cells. Take 1, 500mg capsule per 50lbs of bodyweight, per day. This is considered to be the maximum effective dose. The best way to take it is first thing in the morning, 30 minutes before eating. Get it at www.betterwayhealth.com. Gut Health (for SIBO, IBS, etc.) I personally suffered from both chronic constipation and IBS (Irritable Bowel Syndrome) my whole life until I went to chiropractic school. My lower back had a bad scoliosis curvature and this was distorting the nerve signals controlling my digestion and causing me inflammation. Within weeks of starting school and beginning an intense chiropractic correction schedule, my bowels began to function properly! A healthy gut is imperative for health, healing, and fighting cancer! Along with good bowel function, we also need good bugs and need to remove or crowd out the bad bugs. NOTE: It is essential to restore the gut microbiome after taking antibiotics, or if undergoing chemo or abdominal radiation. Colloidal Silver Drink 2-4 ounces, 3x per day. Can aid in mitigating symptoms of detox and preventing or fighting off infections. Dr. Hulda Clark’s Parasite Cleanse This is an 18-day cleanse with Black Walnut hulls, wormwood (Artemisia), and cloves. Mushroom Supplements are amazing for the immune system! For centuries medicinal mushrooms have been used by traditional cultures for centuries. Hundreds of research studies can be found on the adaptogenic and immune enhancing effects of mushrooms like Reishi, Turkey Tail, Maitake, Chaga and many others. It is believed that mushrooms, like turkey tail, improve the ability of the immune system’s natural killer cells to attack and kill cancer cells. Host Defense MyCommunity is one I recommend or a tincture-based mushroom blend. Apricot Kernels Eat 1-2 per 10lbs of body weight, per day. A 150lb person can eat 15-30 per day, but I know cancer patients who have eaten much more (3-4 per 10lbs of bodyweight, per day) without adverse effects. Just work your way up. Eat handfuls of apricot kernels throughout the day or with meals. Can be blended into smoothies. If you feel sick to your stomach or get a stomach ache, you may have eaten too many. Back it off a bit, or try taking them with meals. Apricot Power sells them ground in capsule form, as well as B17 capsules. Turmeric/Curcumin (The Most Important of All!) Consume as much as you can! 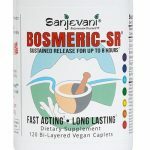 Sanjevani Bosmeric-SR contains C3 curcumin, boswellia, ginger, and black pepper. All of which have been shown to effectively and selectively kill cancer cells. Clinical trials have found that doses of standard curcumin as high as 12g per day were safe in humans. Get Bosmeric-SR at www.betterwayhealth.com. NOTE: If you can’t get Bosmeric-SR, or for mega-dosing up to 12 grams per day, look for a curcumin supplement that uses one of these forms of curcumin: C3 Complex, Longvida, or BCM-95 – with bioperine from black pepper as black pepper slows the liver's metabolism of Turmeric/Curcumin thus significantly increasing the concentration this cancer-fighting herb in the bloodstream. When using raw turmeric powder on food, in smoothies, on basically everything you eat or in what you drink, add black pepper. Black Seed Oil from Black Cumin seeds (Nigella Sativa) Roby Mitchell, MD recommends 2 tbsp, 2x per day, plus 2 tbsp of ground black cumin seed. You may want to start with 1 tsp, 2x per day. Can also be mixed with honey to help with the taste. So far the most cost-effective source I have found of pure organic Black Seed oil is from Traverse Bay. 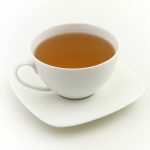 Jason Winters drank 1 gallon of tea per day. Buy it pre-made or mix your own blend. Unlimited dosage. If you’re short on time, buy Essiac Tea pre-made. Starwest Botanicals sells the four-herb formula pre-mixed. There are many testimonials touting the effectiveness of both the 4-herb and 8-herb formulas. Dandelion Root Tea Drink at a minimum 2 cups of tea per day. Research shows Dandelion root tea to shrink tumors in animals and is now being tested in human clinical trials for blood-related cancers. Learn more about the Dandelion Root Project at www.uwindsor.ca/dandelionrootproject. Dandelion root can be harvested anywhere you find it growing as long as you know the soil has not been sprayed or fertilized with chemicals. You can use is fresh or dry it. Dig up the root, chop or grind it up then put 1 tsp in a strainer, steep in boiling water for 20 minutes and drink it. The most potent form is dandelion root extract in powdered form, which can be stirred into tea and consumed whole. It is currently being investigated in the clinical trial mentioned above to determine the maximum non-toxic daily human dose. Coffee Enema Kit Coffee enemas are used to stimulate liver detoxification and for pain relief in cancer clinics all over the world. Get a coffee enema kit on Amazon. Cancer treatments can be very expensive, costing most people (even with insurance) from 25% of their annual income all the way to more than 60% of their annual income. These are mainstream treatment costs! The highest treatment cost to date is the new children’s leukemia drug which costs $475,000 for a single treatment. That's nothing short of Big Pharma profiteering on the misfortune of families, as what parent wouldn’t give up everything they own to save their child’s life? Yet the capabilities of nature's restorative remedies are often overlooked or disregarded by many in the medical community. So, to keep your costs as low as possible, I have done my best to find the places one can purchase some of the highest quality cancer combatting foods and remedies, links provided above. Showing one the path to healing themselves is far better a way to make an honest living than the deception the pharmaceutical companies often use. There’s not much honesty left, it seems, in that industry. DISCLOSURE: We are a participant in the Amazon Services LLC Associates Program (and others linked on this site), which are affiliate advertising programs designed to provide a means for us to earn fees by linking to Amazon.com and affiliated sites.